Our company specilizes in supplying promotional&premium incentive products all over the world since 1995. 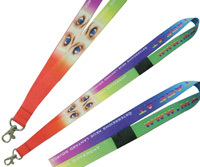 Our main products include lanyards,neck strap,short strap,mobile phone straps,glass straps,ID pouches,suspender and other fashion accessories etc.The products can be made with the raw materials such as P.P., Nylon, cotton, Polyester. The newest price list is available for your reference. Our price is low and quanlity is good because of our original design and manufacture.We warmly welcome your specific inquiry and your trial order . Don`t hesitate to contact us for further information.